This post, Autumn Sour, is sponsored on behalf of McCormick. All opinions are, as always, my own. Thank you for supporting the brands that I love and that help make Jelly Toast possible. It’s Friday, my sweet friends. November is clipping along and we are heading into my favorite time of the year. Thanksgiving and Christmas are on the horizon and it’s the time of year where we find ourselves surrounded by family and friends. Gatherings, dinners, and cocktail parties are some of my favorite parts of the coming season. I love embracing any chance we have to meet with friends and family to celebrate our relationships and simply spend time together. When planning menus and recipes for the season, my inspiration comes from the flavors of the season. For me, Fall is all about warm flavors and comforting dishes. Cinnamon is at the top of my list of Fall spices. It’s classic, comforting, and goes well with both sweet and savory flavors alike. 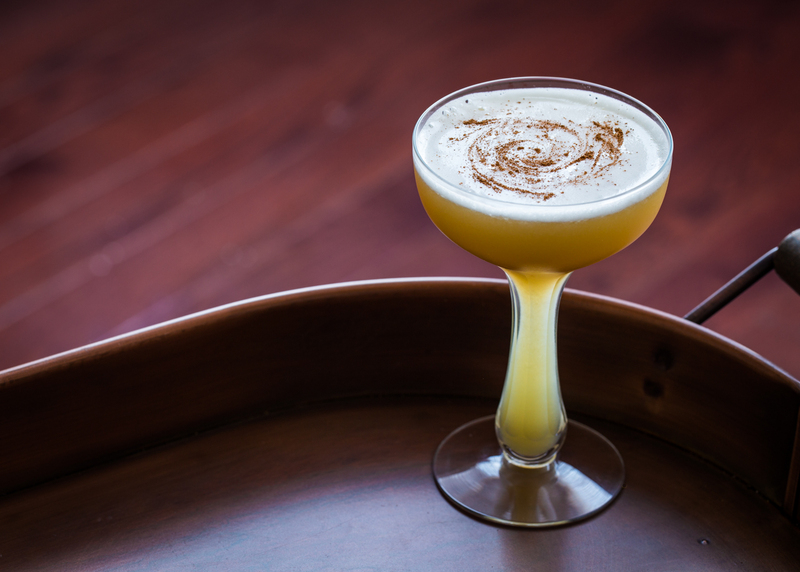 Today I bring you a lovely cocktail, infused with McCormick Ground Cinnamon, fresh pear, rich apple brandy, and mellow maple syrup that is sure to please any Fall lover out there. McCormick Ground Cinnamon is infused throughout this cocktail. McCormick’s cinnamon comes from Indonesia where cinnamon trees grow for up to 15.years to reach their peak flavor. The spiced pear vodka featured in my Autumn Sour is a cinnamon and pear infused vodka. Have you ever made your own infused liquor? It’s a simple thing to do and also a great way to up your mixology game. My pear infused vodka takes on the rich aroma and flavor of cinnamon with some sweetness from the pear. This infused vodka paired with apple brandy, lovely maple syrup and bright citrus notes is a fantastic Fall cocktail that is both warm in flavor and refreshing in crispness. 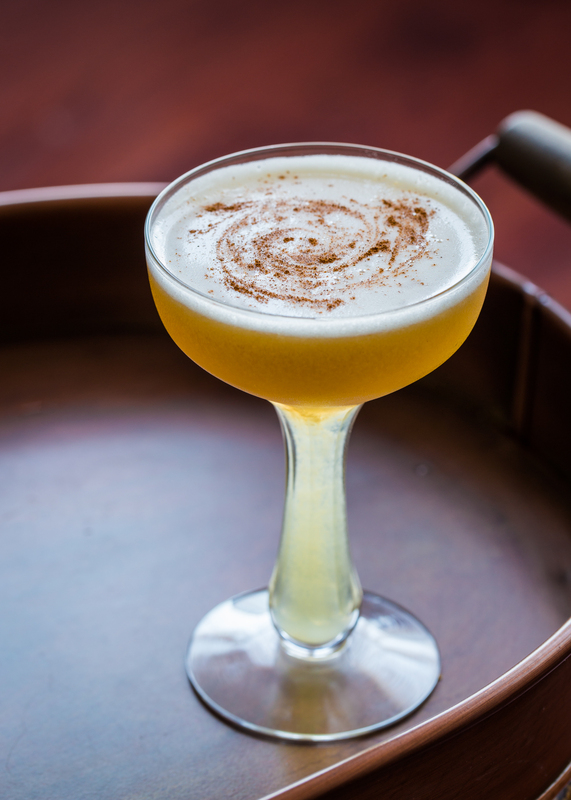 Top your Autumn Sour off with a sprinkle of cinnamon that leads the complex flavors in this cocktail as you sip. 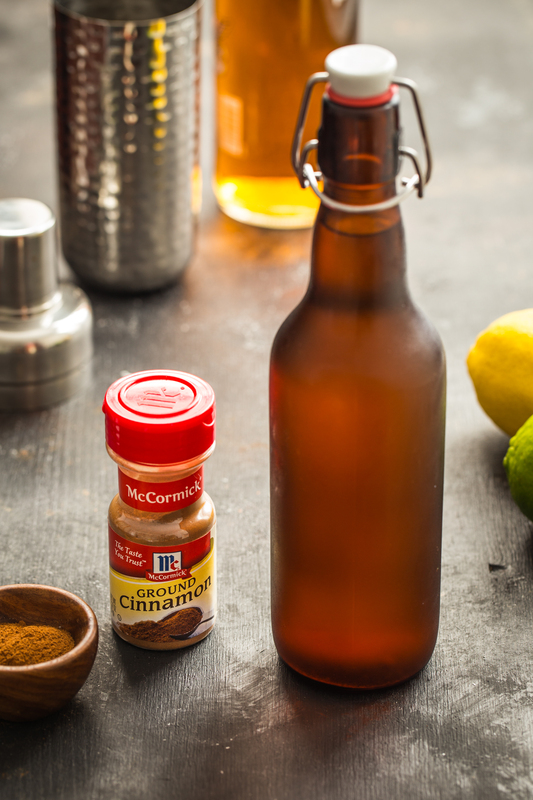 Place McCormick Ground Cinnamon and pear in a sterilized quart size mason jar. Pour vodka over cinnamon and pear. Place on lid and refrigerate. Allow vodka to infuse for at least 5 days. Line a mesh sieve with a standard coffee filter and set over a large spouted bowl or measuring cup. Pour infused vodka through the coffee filter to strain out all solids. 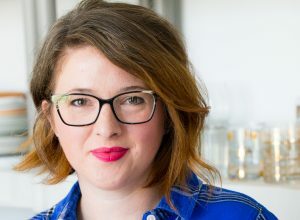 Transfer infused vodka to a sterilized bottle or jar for use in cocktails. Fill a cocktail shaker with ice. 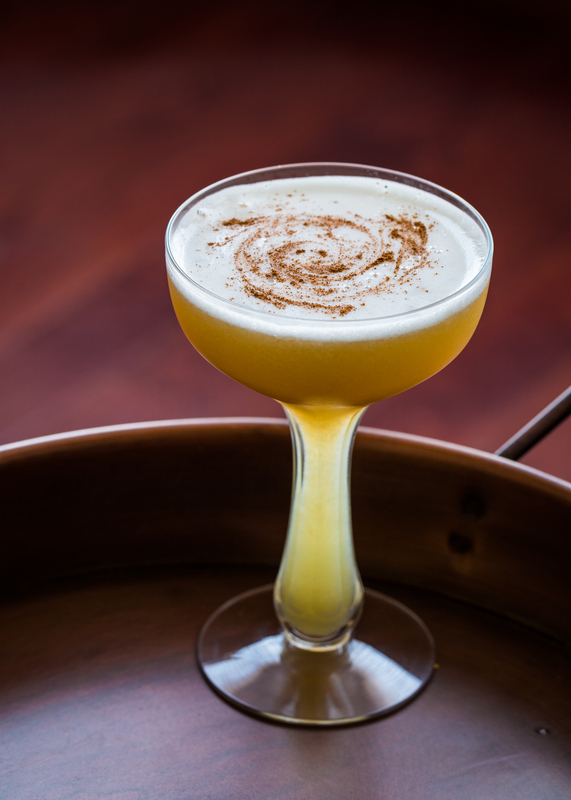 Add 1 1/2 ounces of spiced pear vodka, apple brandy, maple syrup, lemon juice, lime juice, and egg white to shaker. Place lid and shake rhythmically for 10-15 seconds. Strain cocktail into a coupe cocktail glass or rocks glass. Sprinkle cocktail with cinnamon and serve.